iTunes is a media management tool used all over the world by millions of users. It provides option to users for downloading music and movies. iTunes consists more than 45 million music tracks that can be downloaded on your iPhone. Apple has made the entertainment process through iTunes more entertaining and joyful. Users can easily download music with iTunes and play whenever they want. How to download music with iTunes on the computer? You can fill your iPhone with music from multiple sources. You could import your audio CDs into the iTunes music library and then sync your device to copy them to it. The easiest way to add music to your iPhone is through its tightly integrated iTunes Store. You can download music from the store directly on your iPhone or into your iTunes library. Start iTunes on your computer. Click on “Sign in” on the main pane tab bar. Type your iTunes Store ID and Password, and then click “Login”. Click “iTunes Store” in the content overview, under “Store”. Then click on the “Music” tab above the main pane. Browse the iTunes Store are music offers using different criteria on the screen, such as “Top Charts” or “What's Hot”. Alternatively, you can enter a particular album, artist, track or genre in the “Search Store” box in the upper right corner. Click a song to reveal a blue “Play” button to the left. Press the button to try a 30-second excerpt. Click on song or album “Price / Buy” button when you're ready to buy it. Sign in to your iTunes account again if prompted. Click on “Buy”. 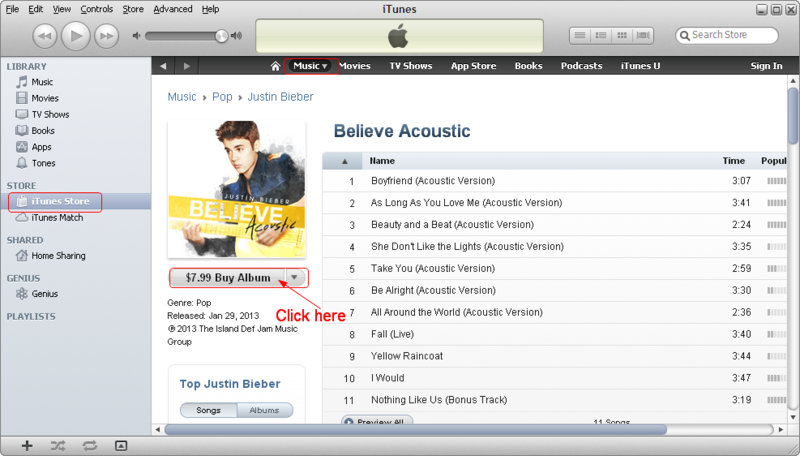 The song or album will be downloaded into the iTunes Music Library listed in the content list. Searches related to How to Download Music with iTunes?